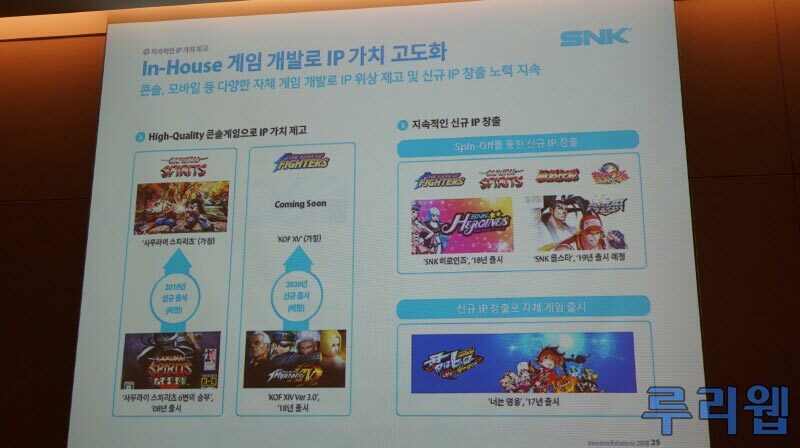 During an IPO press conference in Seoul, South Korea, SNK revealed their plans for two of their upcoming fighting games. First, the new Samurai Shodown originally announced for PlayStation 4 will also be coming to PC, Nintendo Switch, and Xbox One. 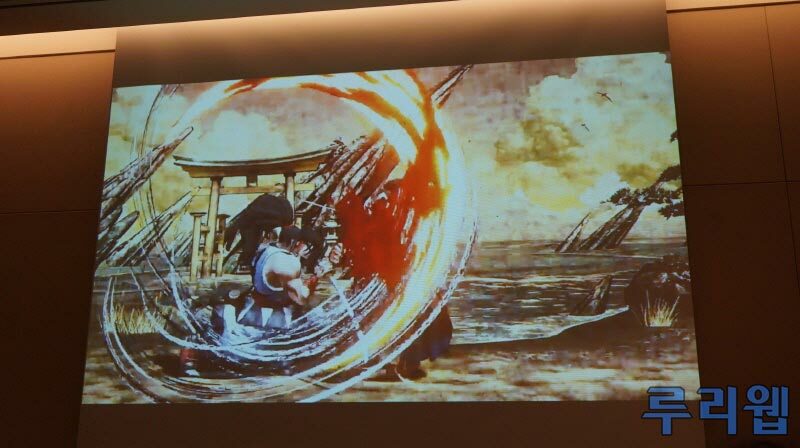 Furthermore, the release window for the new Samurai Shodown was shown to be "Q2 2019". 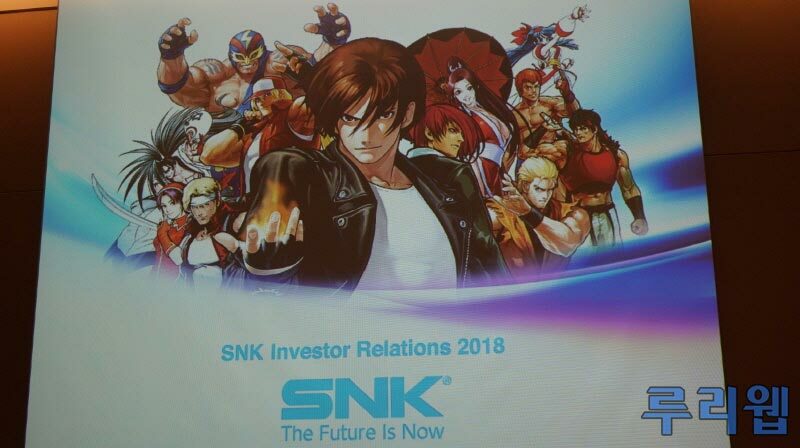 Secondly, while no visuals or promotional images were provided, SNK has confirmed The King of Fighters XV for release in 2020. Below are some screen captures from the IPO press conference in Korea. SNK has released only one trailer for the upcoming Samurai Shodown, so far. 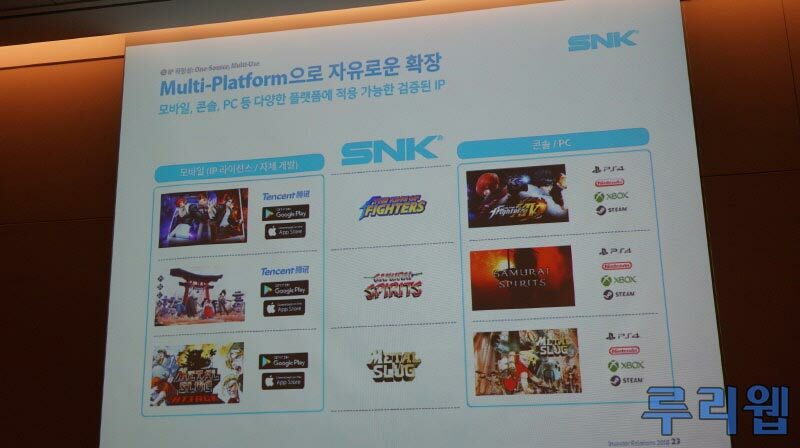 Stay tuned on FightersGeneration.com for more SNK news and upcoming announcements for The King of Fighters XV and Samurai Shodown (2019).